… the object-oriented product database especially for internationally operating companies. … amazing how little effort is required for complex catalogs. Everything in harmony. … brings your data consistently and easily to the Web. Simple, seamless and fully automated. The Amirada System is a flexible, modular solution that can simplify the entire publishing process – with no big upfront investment, but great competitive advantages. 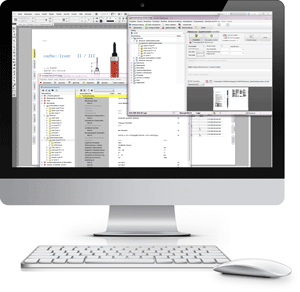 With this up to 100% automated software solution, the cost of catalogue production is significantly reduced. Internet applications such as shop or product finder are automatically synchronized across all media. The Amirada GmbH specializes in software segment for the automatic catalogueue production with InDesign and internet applications for more than 15 years. This is based on a product information system (PIM).